Friendship, Unity and Christian Charity: This is our Motto. We are a sisterhood of Irish-American Catholic women. Currently we have nearly 4,000 members in 57 divisions across 26 counties in New York State. This is a wonderful testament to the value of being a member of the largest women's organization in the United States. There are divisions in: Albany County, Broome County, Cattaraugus County, Cayuga County, Chemung County, Dutchess County, Erie County, Greene County, Kings County, Monroe County, Nassau County, New York County, Niagara County, Oneida County, Onondaga County, Orange County, Oswego County, Queens County, Rensselaer County, Richmond County, Rockland County, Schenectady County, Steuben County, Suffolk County, Westchester County, Ulster County. Join Our Membership. We invite you to experience the joy of being a Lady Hibernian and the reward of working together in Christian Charity. If there isn't a division in your county a new division can be formed with as few as fifteen (15) women. Reach out to friends, relatives and colleagues. 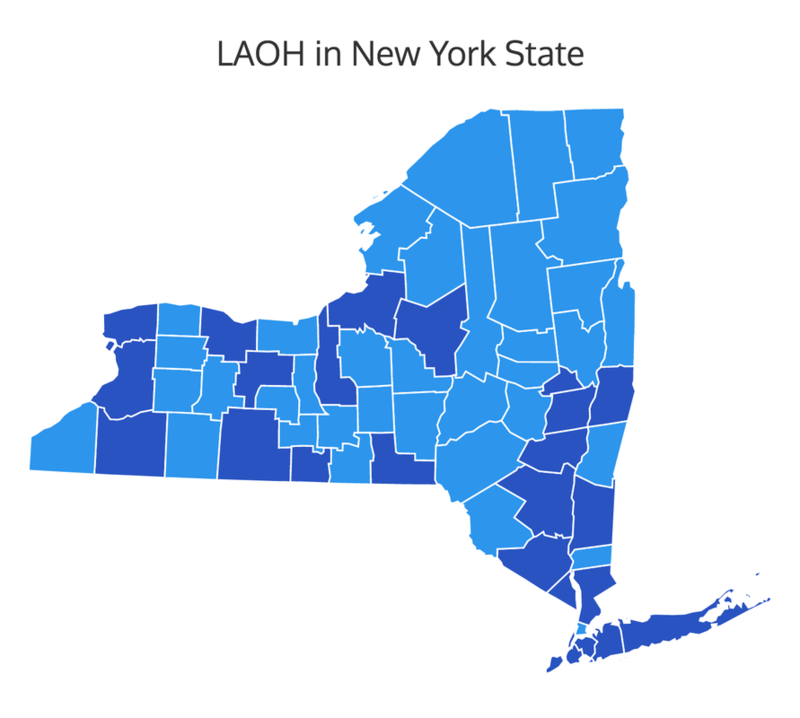 Invite them to join the LAOH too. Contact us for information about applying for membership to an existing division or setting up a new division. A woman eighteen (18), being a practicing Roman Catholic, who is of Irish heritage by birth or descent. A woman legally adopted by, or the wife or mother of a member of the Ancient Order of Hibernians, Inc.
A woman the mother of a member of the Junior Division of the Ladies Ancient Order of Hibernians, Inc.
A woman of a Catholic religious order. *A young lady between the age of 6 and 18, being a practicing Roman Catholic, who is of Irish heritage may be admitted to Junior membership. Junior Divisions function under the direct guidance of the Vice President of the Sponsoring Division. There are currently Junior Divisions in Chemung County, Nassau County, Orange County and two in Suffolk County. In order to form a new Junior Division a minimum of five (5) members is required. Contact your Division Vice President for more information.